The price of contract gold increased Tuesday, ending a three-session drop that at one point saw the metal trading at four-month lows. February gold settled at $1,662 an ounce in New York, up just short of $16, or 1% on the day and held onto the day's gains in after hours trading. Buying was set off by signs of strong physical demand particularly from China ahead of the Lunar New Year holiday. Bloomberg reports exports from Hong Kong to the Chinese mainland almost doubled in November from the previous month according to government data released Tuesday. The price of gold on the Shanghai Gold Exchange surged to $10 above the spot price indicating strong demand – usually Shanghai gold only attracts a premium in the single digits. "Physical demand is very strong," a Beijing-based trader told Reuters: "It's a combination of the attraction of lower prices as well as pre-holiday demand." It wasn't just Chinese stocking up on precious metals. According to figures from the US Mint website sales of American Eagle gold coins this month already add up to 73,000 ounces. That compares to 76,000 ounces for the whole of December and the more than 136,000 ounces sold during November, which was a 14-year high. 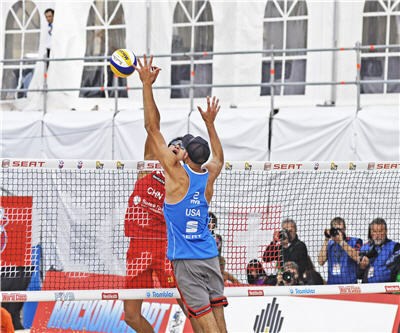 Image of beach volleyball game between China and the US in June 2010 by Makushin Alexey / Shutterstock.com.